Being in control of your health empowers you, but there are some choices that are doing you more harm than being beneficial. Sometimes, you need guidance to keep you on the right track of your health journey. So, we want you to know that our health experts got your back! In fact, the Beyond Good Health team compiled empowering health tips to guide you in your health journey. 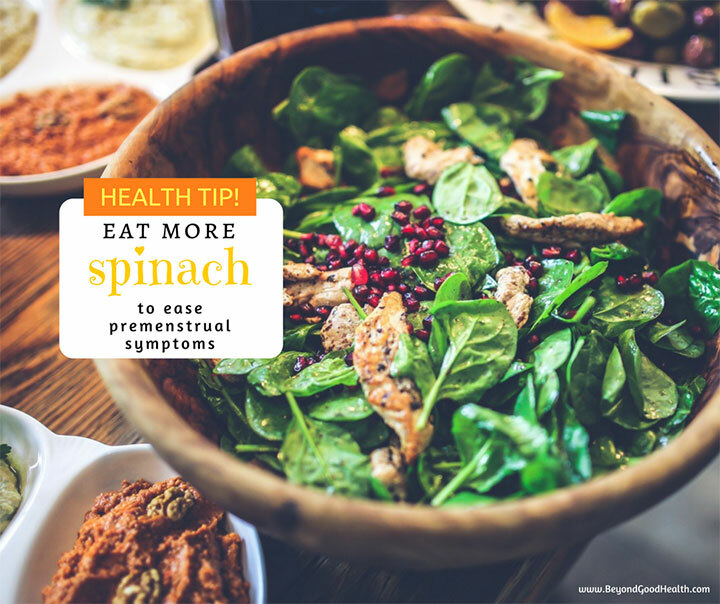 We will update this post regularly to give you access to the latest health tips from our health experts. It’s also best if you LIKE our Facebook Page to stay updated, and share your thoughts and experiences with other health advocates. Have you heard about the sleep hormone melatonin? It’s the hormone that helps you sleep better! However, being exposed to bright lights in the evening, especially before sleep, can disrupt melatonin production and will make it difficult to fall asleep. 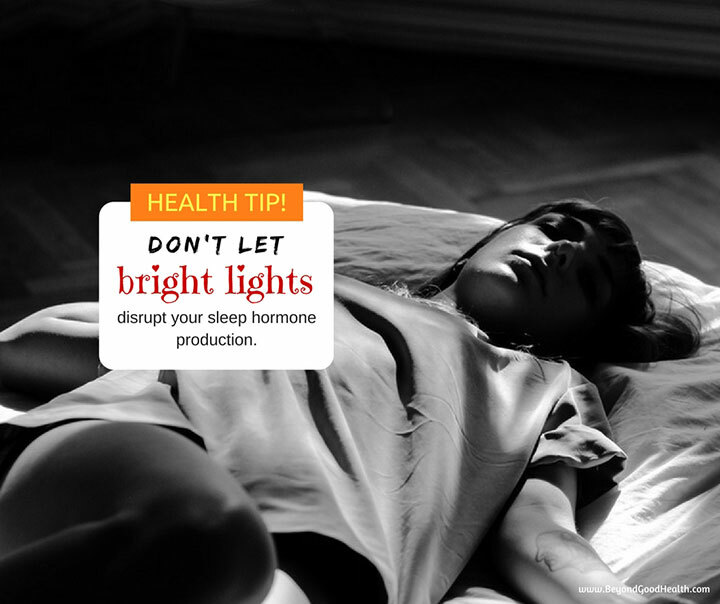 That is why it is best to use a dim light in your bedroom or turn off the lights when you’re about to sleep, as darkness promotes melatonin production. Avoid using your electronic devices in your bedroom too. The blue light of these devices tricks your brain into thinking that it is daytime resulting in sleep problems. Don’t be scared to drink coffee! It’s high in antioxidants that decrease the risk of having Alzheimer’s disease, Parkinson’s, type 2 diabetes, cancer and other age-related and chronic degenerative diseases. It is true that drinking too much coffee has side effects like insomnia, nervousness, restlessness, stomach upset, fast heartbeat, and muscle tremors. However, this only happens when you’ve had too much. Now how much is too much? It depends on your sensitivity to caffeine. Some people are more sensitive to caffeine, the substance in coffee that causes side effects, while others can drink up as much as they could without experiencing adverse reactions. 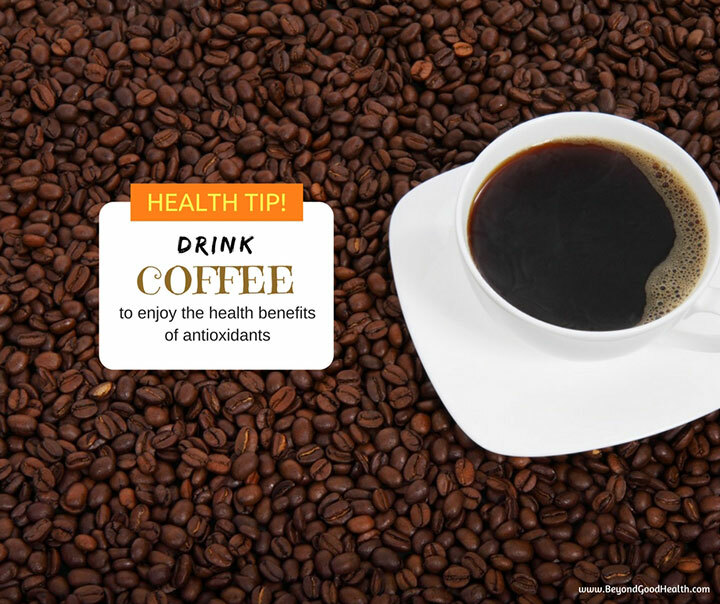 Some health experts say that 400 mg of caffeine a day or 4 cups of brewed coffee seem to be safe for most healthy adults – again healthy adults… which means you have no underlying health conditions. 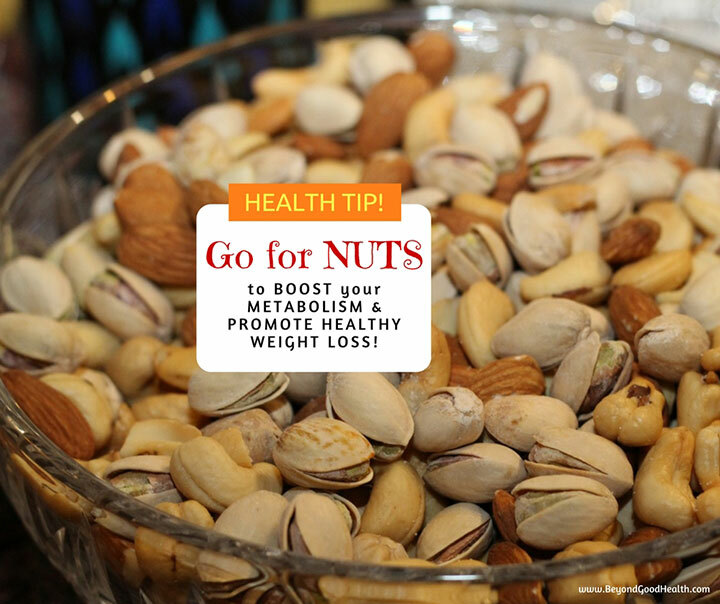 Nut, especially almonds, supports healthy weight loss based on studies. Despite nuts are high in fat content, they are rich in fiber and protein, which increase satiety. Therefore, it helps you feel full so easily and may prevent you from overeating. Nuts are also abundant in antioxidants, vitamins, minerals and phytoesterols that are good for the heart. You need to be more careful when choosing the method to cook any meat. 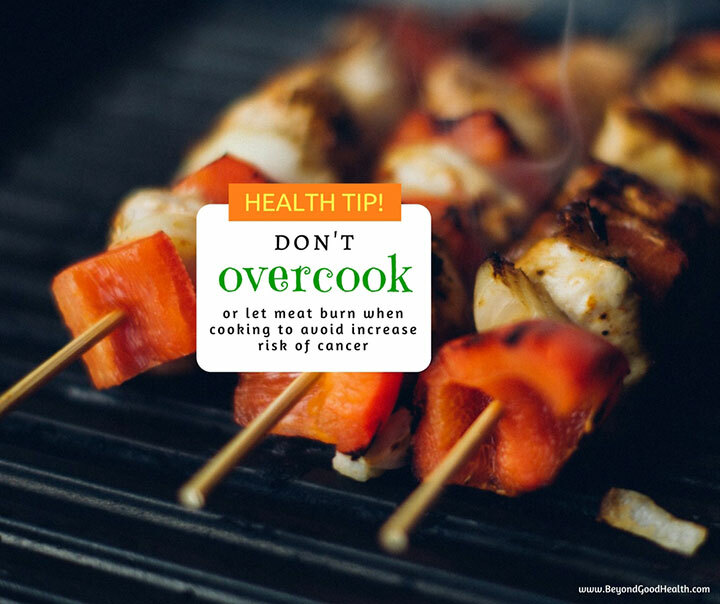 A study shows that charcoal grilled meat contains higher amount of Heterocyclic Aromatic Amines (HAAs), a compound formed during cooking meat and is a potent carcinogen (cancer-causing), compared to pan fried, deep fried and roasted meat. 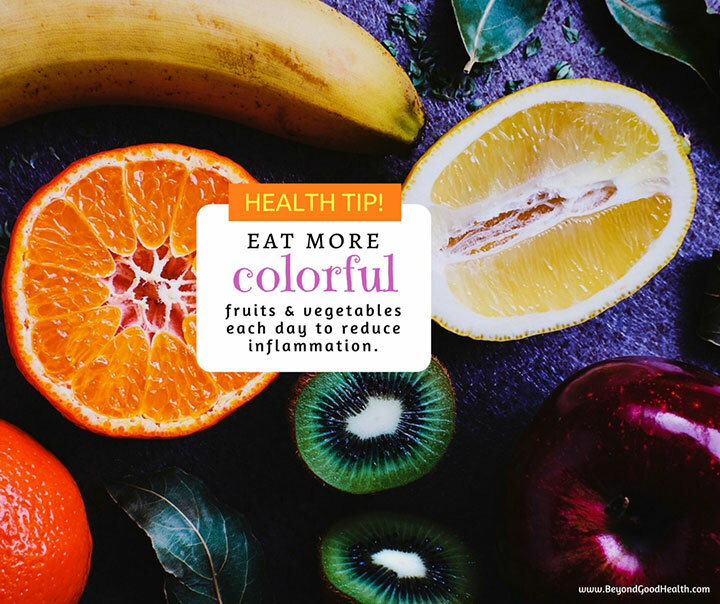 Fruits and vegetables with bright colors are rich in flavonoids and carotenoids, substances that bind with free radicals–which attack and damage body tissues resulting in inflammation. This binding capacity of flavonoids and carotenoids aids in eliminating the free radicals, thereby reducing inflammation. Are you often experiencing unpleasant premenstrual symptoms? You might consider taking foods, drinks and supplements rich in calcium for PMS relief! Studies showed that calcium can ease PMS. The recommended daily calcium intake is 500-1200 mg. Green leafy vegetables like spinach are rich in calcium. Other calcium sources are yogurt, sardines with bones, tofu, green soybeans, soy nuts, butternut squash and collard greens. 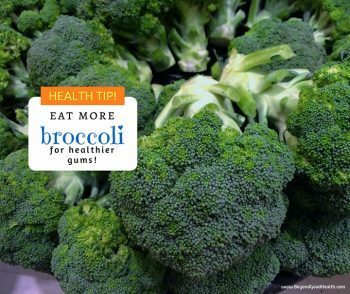 Did you know that broccoli is rich in calcium and vitamin C, which are essential to maintain healthy gums? In fact, both nutrients are linked to lower risk of periodontal disease. So always include broccoli in your grocery list! Dr. Zung Rosita Vu (Dzung Price) educates, trains and treats individuals with challenging chronic health conditions. As a holistic medical practitioner with 23 years in practice, her goal is to empower her students and clients physically, emotionally and spiritually to allow them to get back on track with a healthy and purposeful life.